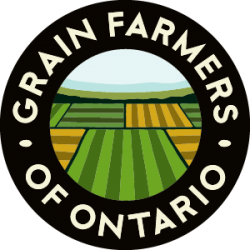 Grain Farmers of Ontario addresses the research needs of grain farmers by investing in four priority areas: Agronomy and Production; Weed, Disease, and Insect Pests; Crop Utilization and Crop Quality; and Breeding and Genetics. The eight projects funded through the Partnership cover these priorities and 2018 areas of interest in herbicide-resistant weed management, disease management, and soil health. “Our grain farmers are key, hardworking members of our agricultural sector and important contributors to the strength of Ontario‘s economy and rural communities. We‘re pleased to support research efforts such as these through the Partnership to help our grain farmers improve the competitiveness and sustainability of their operations,” said Ernie Hardeman, Ontario Minister of Agriculture, Food and Rural Affairs. These projects also continue to support long-term tillage trials that will demonstrate cropping systems for farmer-members. Through the Partnership, the federal and provincial governments are helping our farmers, processors, businesses, sector organizations and industry partners to innovate and succeed. To learn more about all research projects funded by Grain Farmers of Ontario visit the research project database at www.gfo.ca/research/research-project-database. 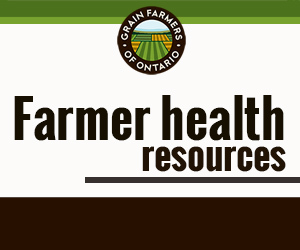 The Partnership will be providing funding up to $590,454 to maximize Grain Farmers of Ontario‘s research investments.